Italian Virtual School is an Italian Language School based in Turin. We provide Onsite and Online Italian Courses. 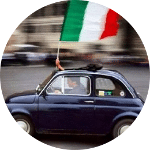 Maybe you are planning to visit Italy and need to know some Italian before arriving. Or you would like to keep in touch with language after your journey. Maybe you desire to take Italian Lessons with native Italian teachers but you can’t because there are not native teachers where you live. Or you want to take a Language Certification such as CELI, CILS or PLIDA. Maybe, beacuse of your work, you need to study with schedules not compatible with the School in your city. These are all good reasons for taking an Online Course of Italian! You can take Individual Courses or Small Group Courses (maximum 5 students per class in case of Conversation, otherw. 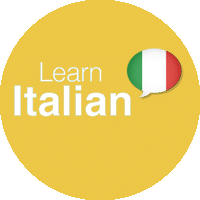 Before starting your course, you will have the opportunity of taking a Free Trial Class of Italian. It will allow us to know eachother and to define properly the goals for the course. We have Standard Courses, Conversation Courses, Italian Cinema Courses and more. Before starting the Course, we ask the Student to make this Placement Test in order to have a more accurate evaualtion of his/her level. All our Students are happy with our Italian Courses. You can have an idea of their level of satisfaction reading their Reviews. Whichever additional information you may need about the Online Italian Courses, don’t hesitate to contact us or to write to [email protected]. Together with Italian Online Courses, Italian Virtual School offers Italian language courses in Turin “at the teacher’s house”. The courses are held mainly in the morning and are open to foreigners who live in the city and to those who are in Turin for holidays. In this second case you can stay at the house of the Italian teacher participating in a real HOMESTAY program. You will live with your family, have a studio apartment with independent entrance and dinner on request. Breakfast is always included. 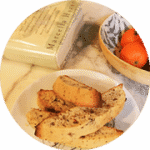 During your stay you can follow the Italian language course and/or taking COOKING LESSONS. Lesson schedules and arrangements are agreed with the teacher. Feel free to contact us for whichever additional information you may need.